The iSureVape Seraphim Strip coil is a sub-ohm coil designed for compatibility with the iSureVape Seraphim tank, as well as with sub-ohm tanks that accept SMOK Baby Coils. The Seraphim Strip coil is designed with a broad contact surface that evenly heats the wick, producing consistent flavor and massive clouds. The coil uses antibacterial medical grade cotton as wicking material to ensure that your vape juice makes the maximum possible contact with the coil surface. The coil is available in two resistance options - a 0.15ohm coil rated for 40W to 90W, and a 0.5ohm coil rated for 20W - 50W. Take the Seraphim Strip coil for a spin today and take a step into the future of intense vapor production. The Seraphim tank by iSureVape is a 6ml sub-ohm tank built around iSureVape's Strip Coil. The Strip Coil uses antibacterial medical cotton for its wicking system. This high-grade cotton wicking material pairs with the Strip Coil's wide contact surface that heats consistently and evenly, guaranteeing fewer dry hits and massive vapor production. 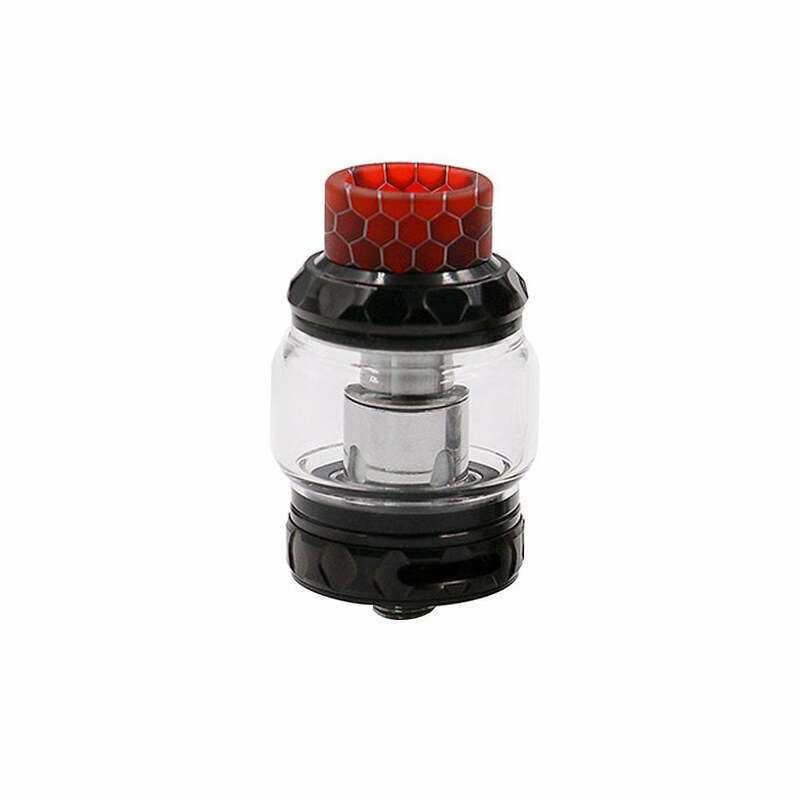 The tank includes two coils, a 0.15ohm coil rated best at 40W - 90W, and a 0.5ohm coil rated best at 20W - 50W. In addition to the two coils included with the tank, the Seraphim is compatible with SMOK's Baby Coil system, giving the tank a wide range of coil and resistance options. The Seraphim sub-ohm tank has a wide bore 810 drip tip, which improves vapor volume and helps to avoid spit back from the coil. The Seraphim tank is easy and convenient to refill. Hold tank with one hand and twist and unscrew tank's top cap with the other. Drip liquid into the edges of the tank from your vape juice bottle or dropper - do not drip any liquid into the center of the tank. Once the tank is filled, reattach the top cap and slowly twist it clockwise until it is securely tight. Allow five minutes for the vape juice to soak into the wick, and your Seraphim tank is ready to rock.